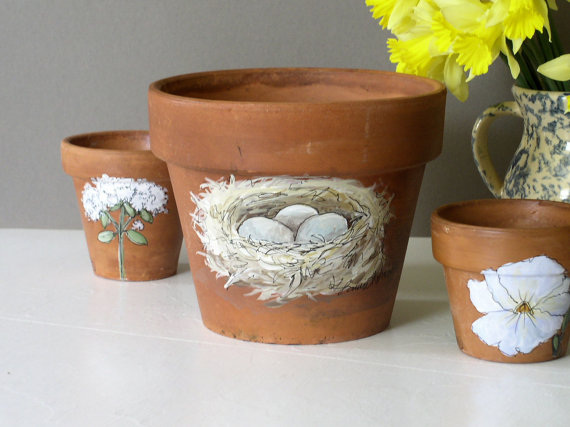 Woodland bird nest with bird eggs painted on vintage garden herb clay pot is nature at its best for garden nature lovers. Front painted with bird nest and bird eggs in a soft blue and the back I painted three bird eggs.Perfect for farmhouse cottage chic decor. 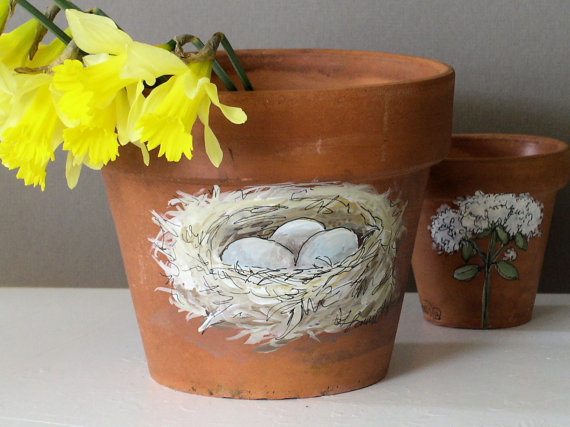 Great for housewarming mom and Easter gifts. Measures: 5"h x 6" diameter clay pot. Shown with other options. 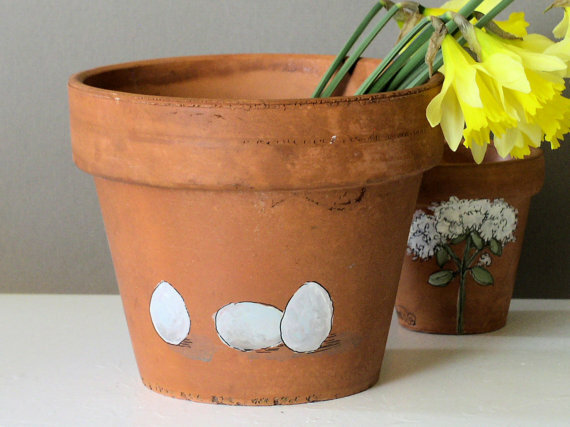 This listing is for the bird nest clay pot.